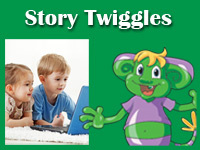 Winter brings cold air, rain, wind, and snow, and warm winter clothing comes out of storage. 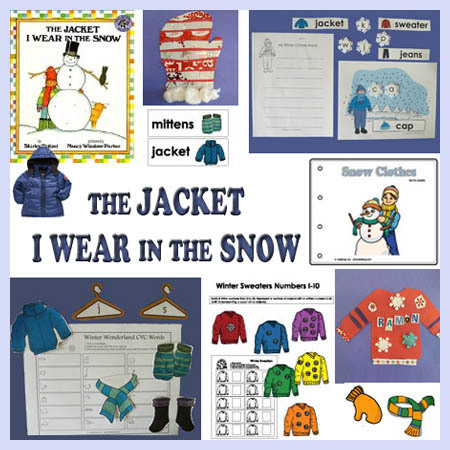 Winter clothing words are the focus of a literacy activity designed to be used with the rebus-style picture book The Jacket I Wear in the Snow. 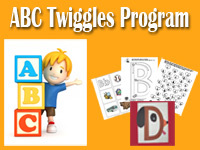 Scarves, caps, boots, sweaters and mittens set the scene for learning about letter sounds, sentence construction, spelling, counting, patterns, and sight words. Colors and crafts wrap everything up in a warm, cozy collection of winter wonderland fun. Login to our KidsSoup Resource Library to view all The Jacket I Wear in the Snow crafts, activities, folder games, and emergent readers for preschool and kindergarten. Get access to all our over 5,800 resources! 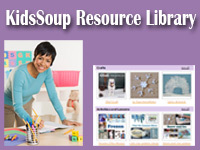 Sign up for the KidsSoup membership now! Only $26.99 for one year!